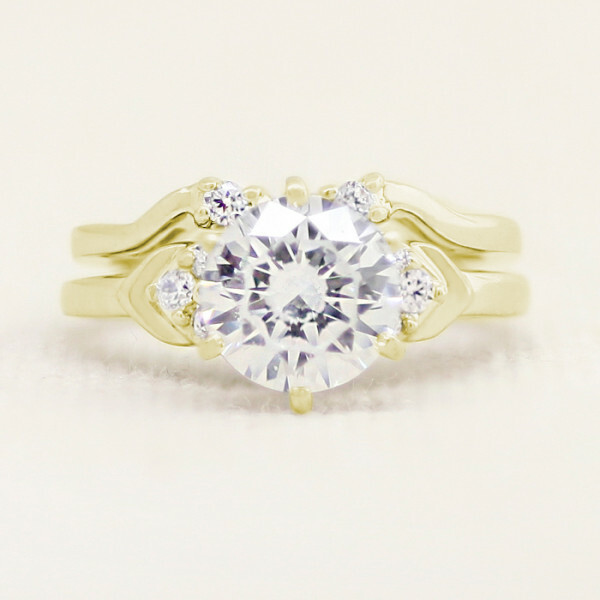 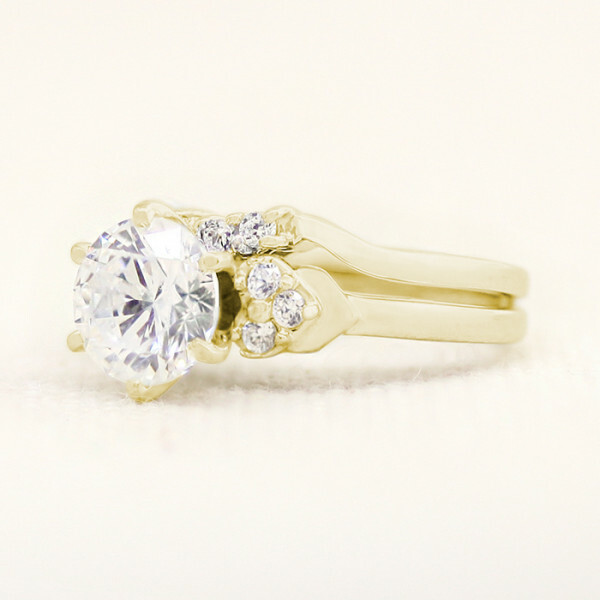 Discontinued Embraceable You with 1.67 carat Round Brilliant Center and One Matching Band - 14k Yellow Gold - Ring Size 6.75-8.0 was added to your cart. Exquisitely romantic, the six Round Brilliant cut accents of this magnificently feminine engagement ring lend a gentle lacy quality to the captivating Round Brilliant cut Nexus Diamond alternative in the ring's center setting. 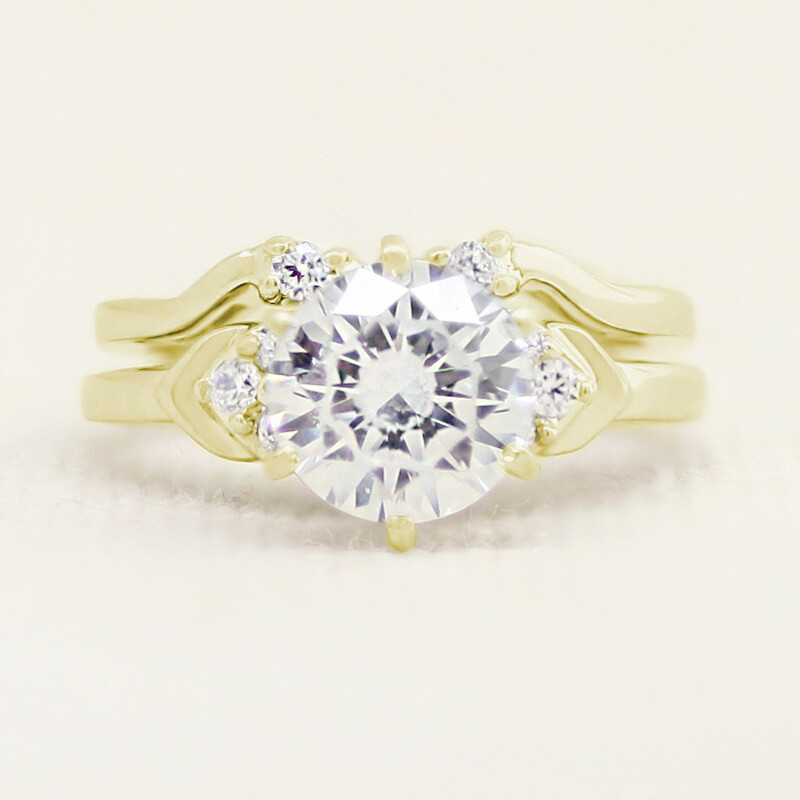 The enchanting soldered matching band completes this bridal set.